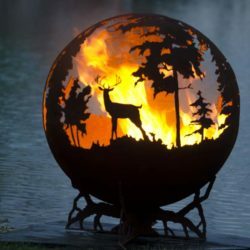 At The Fire Pit Gallery, not only do we have custom fire pits, but any of our designs can be converted into a gas fire pit. This gives you multiple options to best fit your home and outdoor space. There are many reasons to choose wood-burning or gas-burning and the decision is mostly up to individual preference. Gas fire pits tend to be quicker and easier to light because they do not require waiting for the wood to catch fire. There are three types of kits available for gas fire pits: match light, push button spark and electronic ignition. If you decide to have a gas fire pit, here’s an easy guide to learning about the different gas kits available. The match light ignition of a fire pit is manual. With this kit set up in your fire pit, you will have to open a gas valve to allow the gas to flow. Remember to not turn the gas up all the way – this will cause a large flame to immediately burn and is also very dangerous. To ignite the fire, you would use a long-stem lighter or a long match near the burner. Adjusting the gas valve will allow you to also adjust the size of the flames. To extinguish the flames, simply turn off the gas valve. If you can turn on a barbeque grill, you can use a push-button spark ignition. Both work similarly. While opening a gas valve, instead of using a lighter you would press and hold the ignition switch. This action causes a battery-powered spark to light, which in turn ignites the burner and creates your flame. At this point, you can release the push button and adjust the size of the flames with the gas valve. Turn off the gas valve will easily extinguish the flames. Once you’ve chosen the unique fire pit you desire and the gas kit you want to include, don’t forget about the filling for the fire pit. 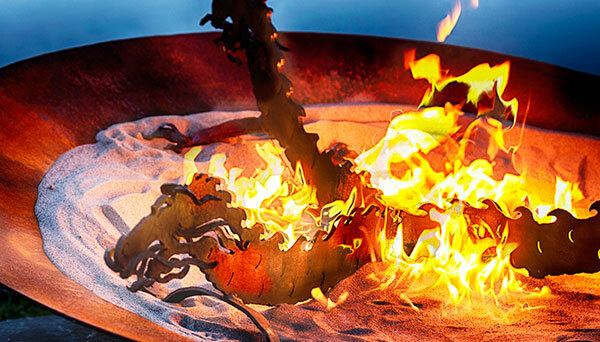 Ceramic wood, fireglass and lava rocks are all great ideas for your gas fire pit. 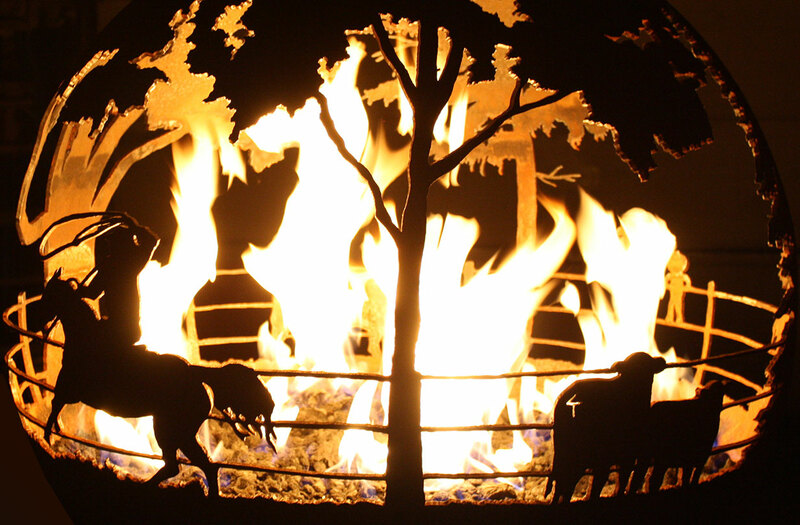 Tell us why you prefer wood-burning or gas-burning fire pits in the comments below. Or connect with us on social media and let us know.